Trading standards officers from Essex CC have been checking pubs across Essex for short measures. Over the past few months Essex trading standards officers have been visiting pubs and purchasing pints of draught beer, lager and cider to check the correct quantity is being served. Letters were sent to all publicans in Essex, advising them of the checks and supplying them with helpful advice on complying with current legislation. Officers found that one in ten pubs served short measures, despite the letters of advice. Follow-up visits after written warnings showed a reduction of short measures to one pub in 50. Last year a similar check on a small sample of Essex pubs found that about one in two pubs served short measures of draught beer. Trading standards recommended that publicans follow the guidance issued by the British Beer and Pub Association, which states that a pint should contain a minimum of 95% liquid. 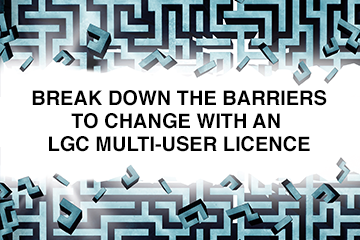 The association also reminds licensees that they should give top ups with good grace to customers if they have asked for one, however big or small the head is. Under the Weights and Measures Act 1985, selling short measures is an offence and each offence carries a maximum penalty of £5,000 on conviction.